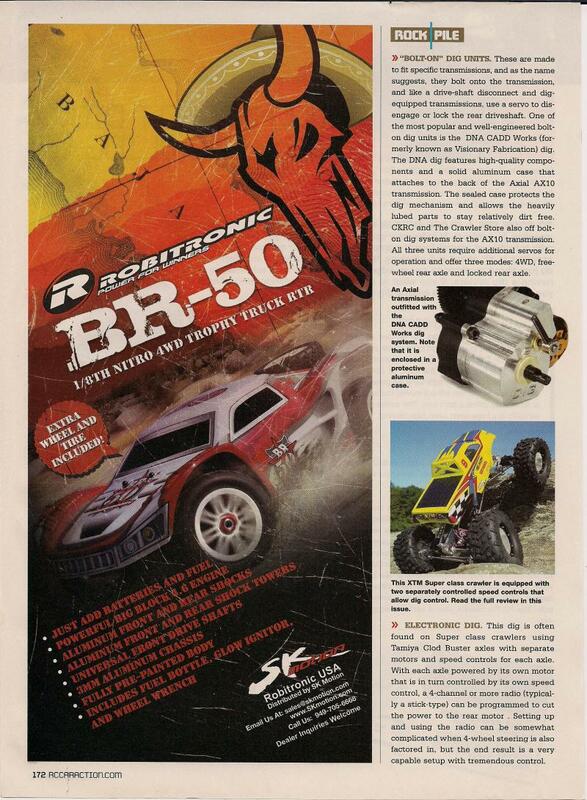 Here's some of the magazine articles that have involved or featured products designed/produced by Don Eidson, prior to BWD. 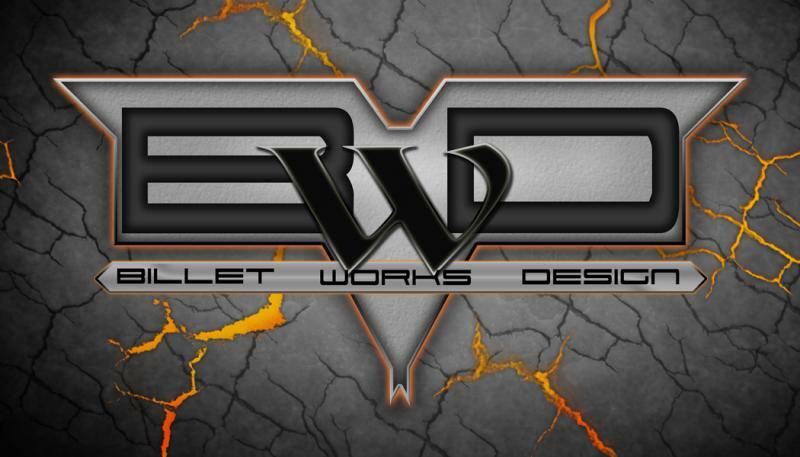 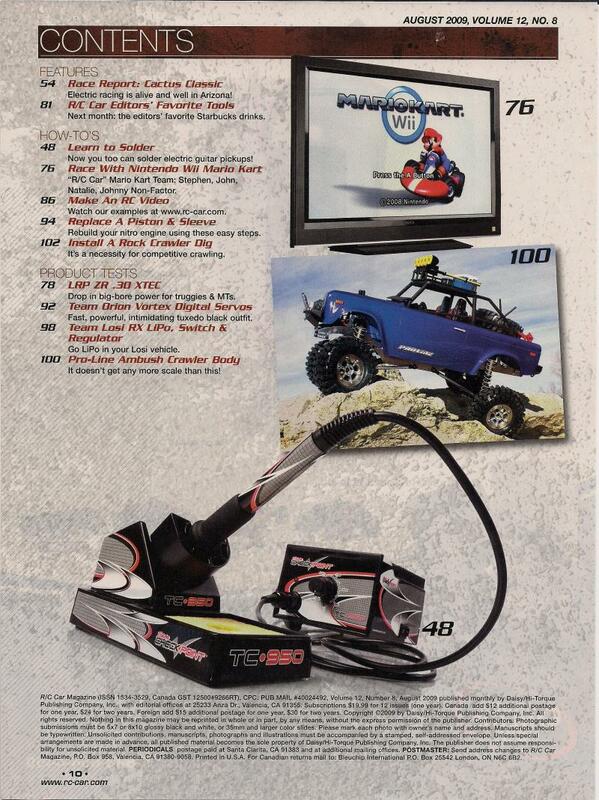 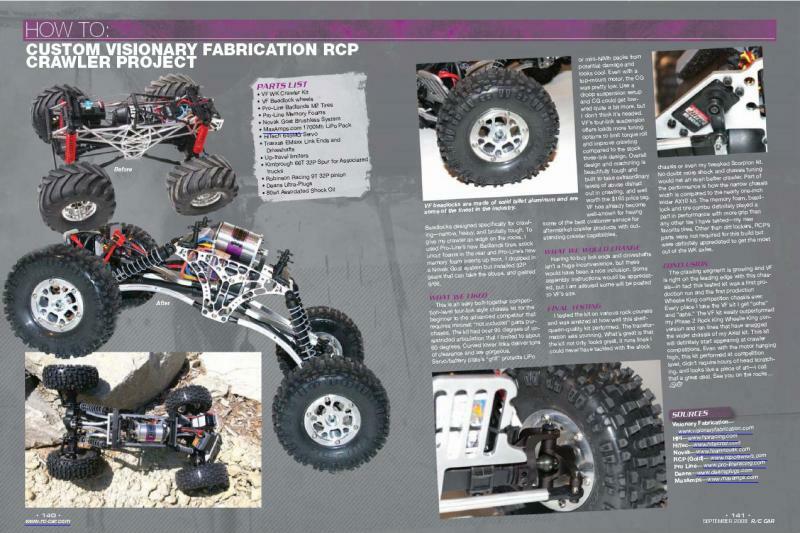 Look for BWD products to be featured in RRCi and other magazines in the near future! 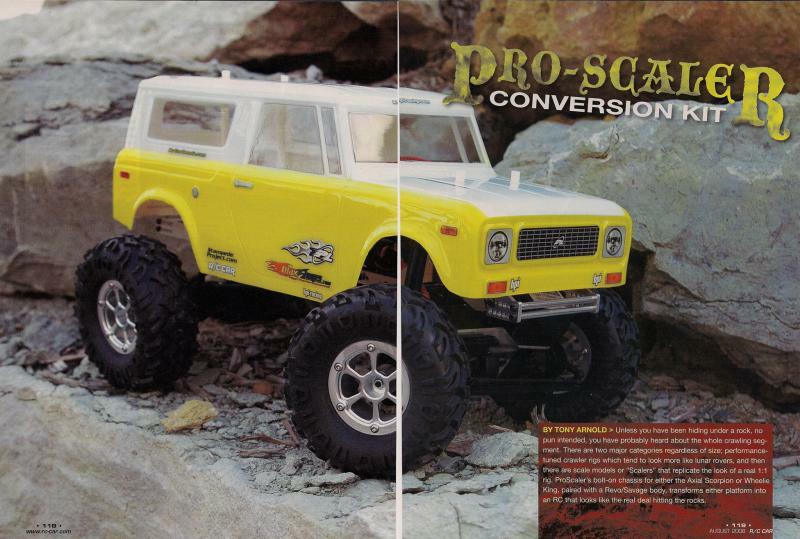 This article represents the first printed ad featuring a product designed/produced by Don Eidson. 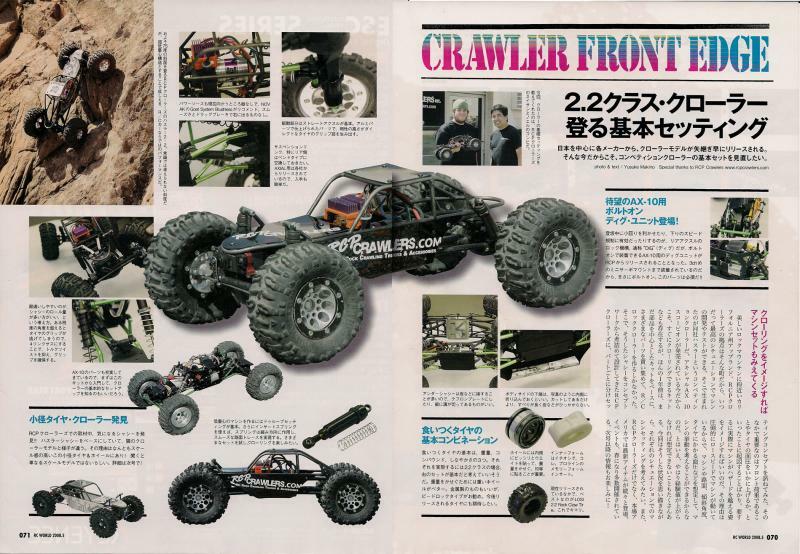 Thanks to RCP Crawlers for promoting the original bolt on DIG System to RC World Japan! 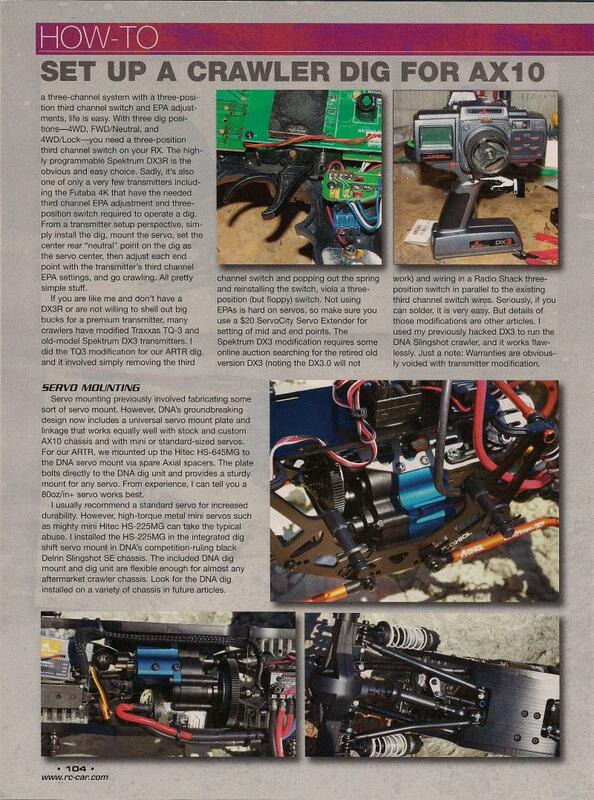 First US Magazine product feature - 2.2 Assassin Bead-Locks. 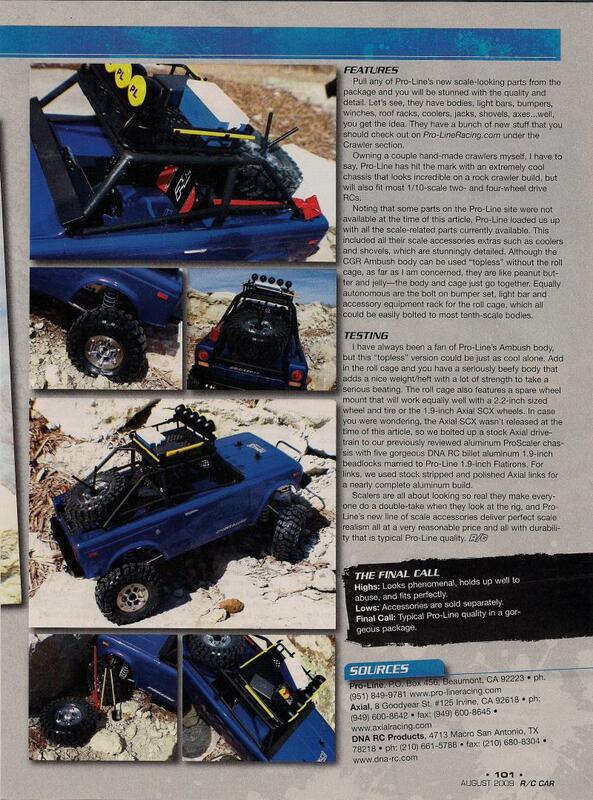 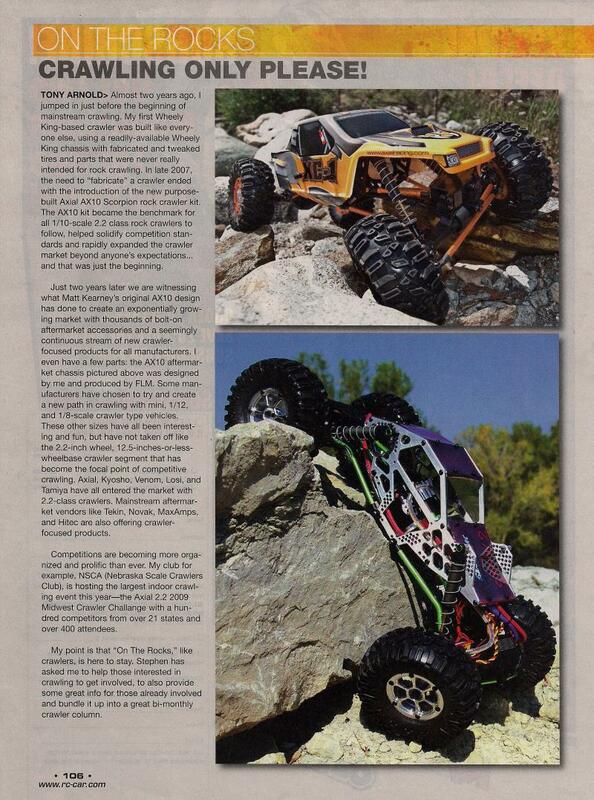 This article featured Don's first production chassis kit for the HPI Wheely King, which preceeded the Axial AX-10 platform's arrival to the world. 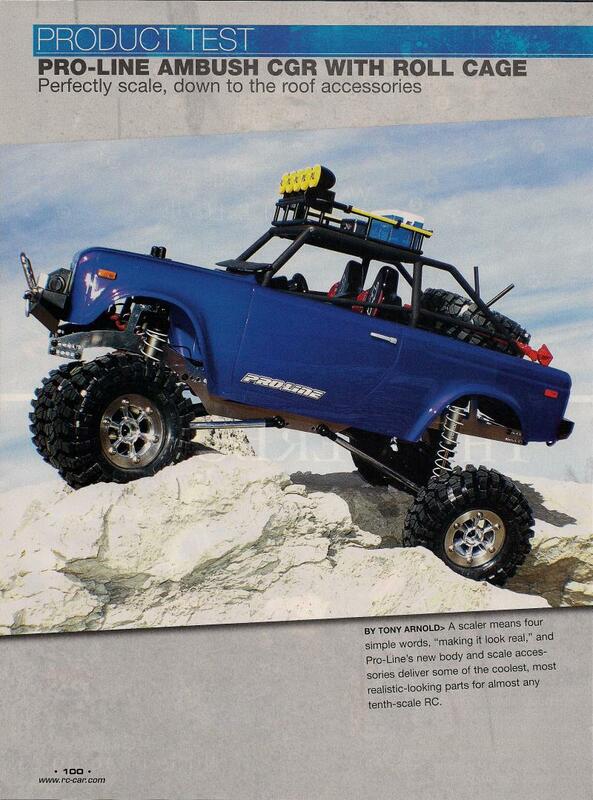 It also featured Stalker Bead-Locks in WK offset - Don's first production Bead-Lock Wheels and the first narrow offset, 1" wide production bead-locks. 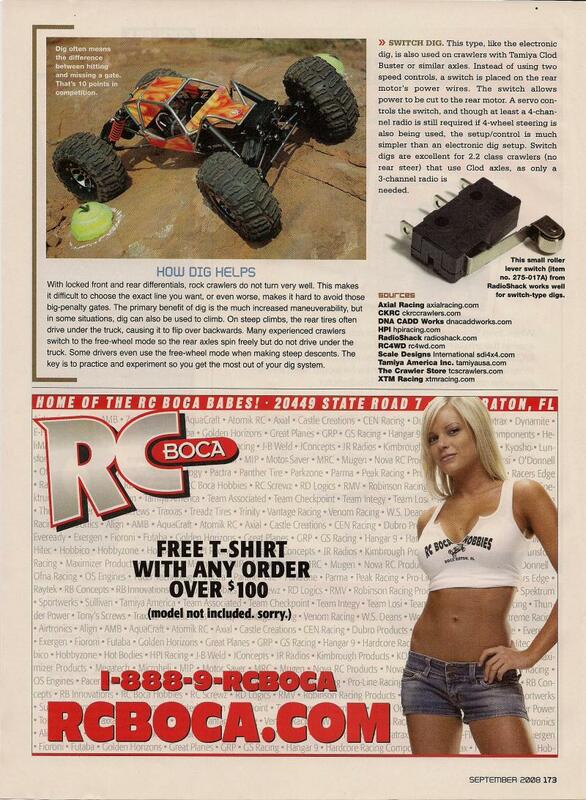 RC Car Action's "Who Doesn't DIG Rock Crawling?" 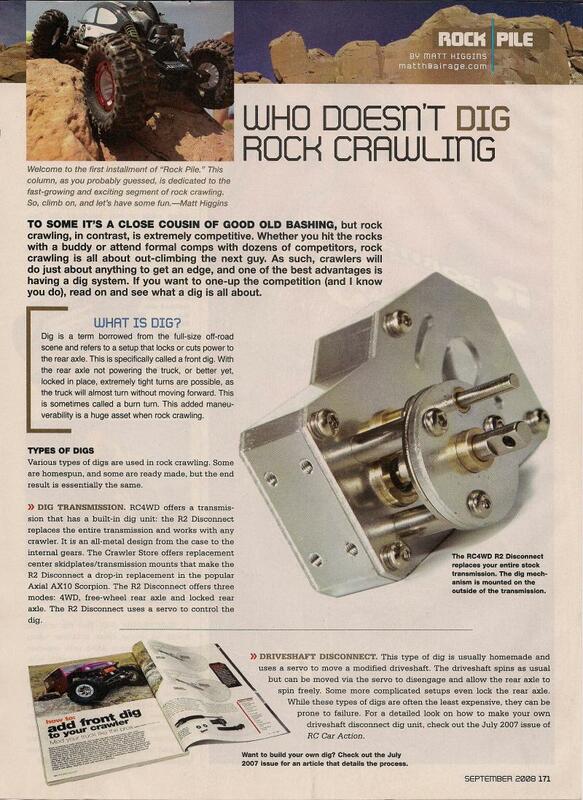 This was the first VF DIG feature in a US magazine. 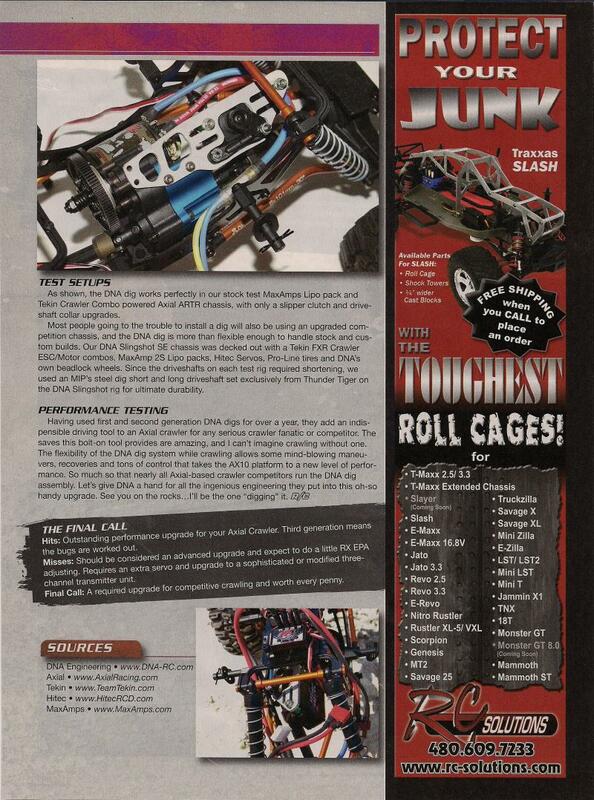 Don's DIG unit set the standard for all bolt on DIG systems globally! 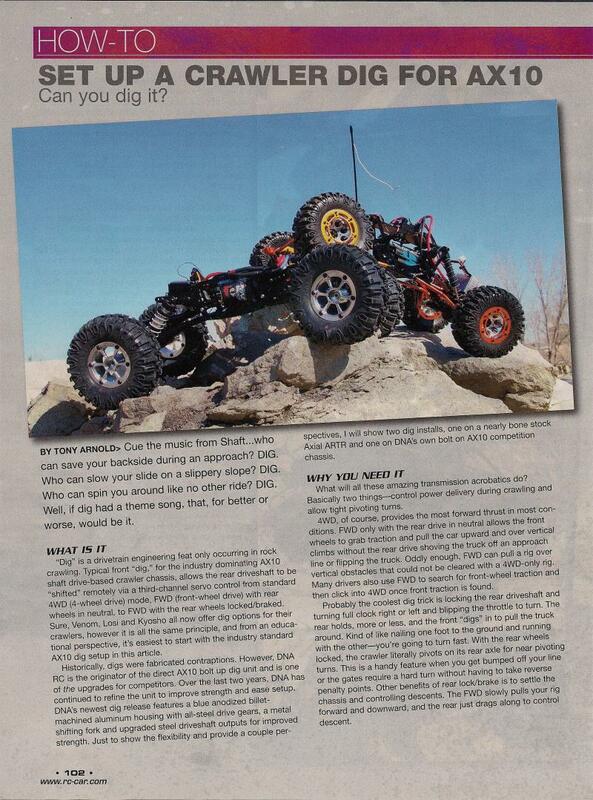 FLM Chassis by Tony Arnold outfitted with Assassin Bead-Locks and VF DIG. 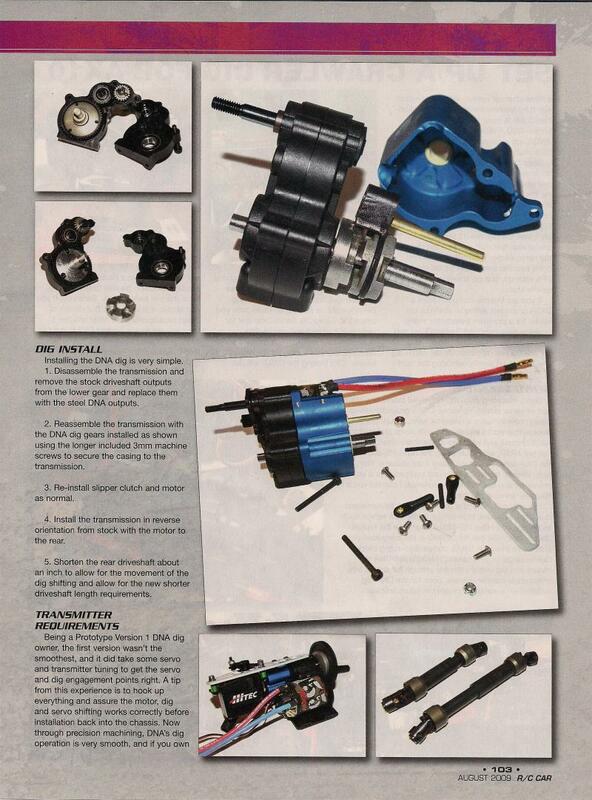 First feature for 1.9 Assassins and Thrashers (spare). 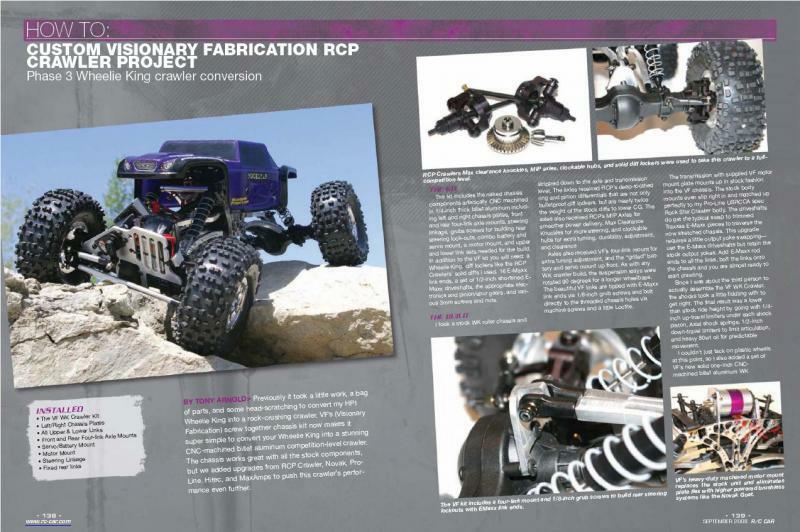 RC Car's "Set up a Crawler DIG for AX-10"
This article features the revised HD DIG Unit with full sized servo mount, VF Slingshot SE Comp Chassis Kit, and 2.2 Assassin Bead-Locks.